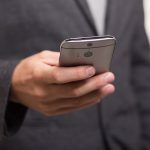 While smartphones and apps have increased the amount of information at our disposal, and while technology is presumed to be there to help us, there is always the possibility that information gathered by apps could be used against us at a later date. 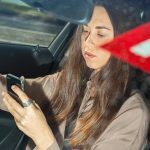 An app developed by insurer AAMI monitors and keeps information about driving behaviour, including speeding, heavy braking, texting and using a mobile phone. 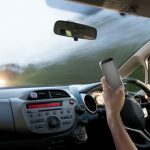 While recording this information is said to be for the benefit of drivers, especially younger drivers, and a way to reward them for safe driving, there are concerns that this information could be accessed by police. When questioned, AAMI didn’t deny this could happen, stating that it would supply personal information and driving data to police if legally required to do so by way of subpoena. The app uses GPS technology to track a number of different things, including route maps, speeding, fatigue and instances of accelerating or hard braking. It provides drivers with a score and encourages them to challenge their friends to improve on the score. Currently there is no link between driver score and insurance premium costs, although it has been speculated that this may change in the future. What are the concerns with using the app? What is concerning is that police could potentially access this information without the knowledge or permission of the user, and use it as evidence against them in a court matter. The app tracks location and driving behaviour, and if a person using the app was implicated in a serious accident, data from the app could form a significant part of the evidence used against them. One of the main concerns with using data from apps like AAMI’s as evidence is that the data gathered is not necessarily going to be accurate. The GPS technology that is often used in car mapping systems is notoriously inaccurate, especially when it comes to speed limits, and this could create an inaccurate picture of a driver’s behaviour and even leave them open to false accusations of speeding when they were in fact driving within the speed limit. The way the driver score is calculated on the AAMI app is based on a number of different behaviours that a driver participates in while behind the wheel. Unfortunately there is no context to determine why a driver may have braked hard or accelerated quickly – this could be due to the behaviour of other drivers or external factors that are not taken into consideration. 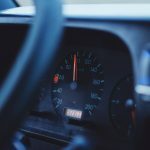 A low score could be misleading and be used as evidence by police that an individual is a dangerous or risky driver, but this will not necessarily be the case. When can police access information from apps? Police are able to access personal information from suspects’ computers and mobile phones with a court-issued warrant. This means that they can effectively hack into your devices, or spy on your online activities and obtain evidence that can then be used against you in court. Alternatively or additionally, police are able to issue subpoenas to companies like AAMI to gain access to information once court proceedings are commenced against a person. Although AAMI states that users can go on their app without disclosing their identity, security experts have stated that it would be very straightforward for police to identify an individual user. The concerns around online privacy and misuse of information are not new and this is the latest in a range of examples of how private information could be provided for one purpose and then be used for an entirely different one. Many people aren’t aware of the sheer volume and extent of information being kept by companies and other organisations, and the ability of this information to be accessed and used by government and law enforcement agencies. 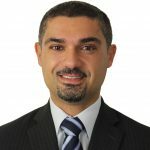 Although currently the use of the AAMI app is still in its early stages, it is possible that data from apps like these could be used as evidence against people facing traffic charges like dangerous or negligent driving in the future. As a technology user it’s important to be aware of the danger that personal information provided online for one purpose could be used in the future in an entirely different way. Think carefully before using apps like the Safe Driver app, and always take steps to safeguard your privacy online. 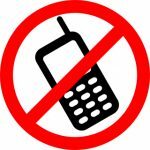 Are you facing a traffic charge and need advice? Speak to an experienced traffic lawyer today to find out what your options are and how you can avoid harsh penalties or losing your licence.